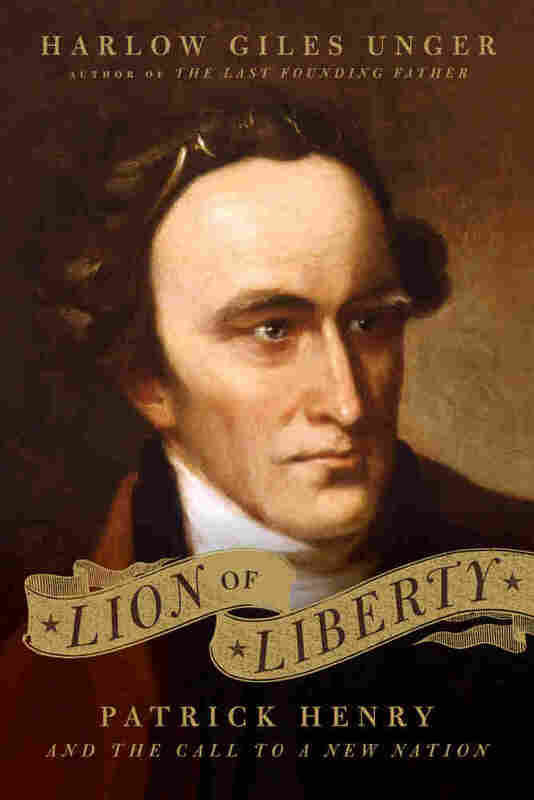 'Lion Of Liberty': Patrick Henry's Fiery Life In his new biography of the Revolutionary firebrand Patrick Henry, Harlow Giles Unger explores the life of America's greatest orator and the story behind his famous cry, "Give me liberty, or give me death!" There might not have been a United States if it weren't for Patrick Henry, but as Founding Fathers go, the legendary orator and statesman from Virginia has been somewhat neglected in the national memory. Without a huge obelisk near the National Mall or an HBO miniseries to remind Americans, Henry seems to be chiefly remembered now for two fiery quotations: "If this be treason, make the most of it!" And the line that became the de facto motto of the American revolutionaries, "Give me liberty, or give me death!" It's unfair to reduce Henry's career to excerpts from two speeches, but it's also fitting that he's remembered chiefly for his words. Henry was a hardworking lawyer, a somewhat adequate military commander, and a popular, if inconsistent, politician. He wasn't the best farmer or the best businessman, but he was almost certainly the greatest orator in 18th century America. And he was, in a way, the Father of the Founding Fathers -- as Harlow Giles Unger notes in his excellent new Lion of Liberty, Henry was the first of the American revolutionaries "to call for independence, for revolution against Britain, for a bill of rights, and for as much freedom as possible from government -- American as well as British." 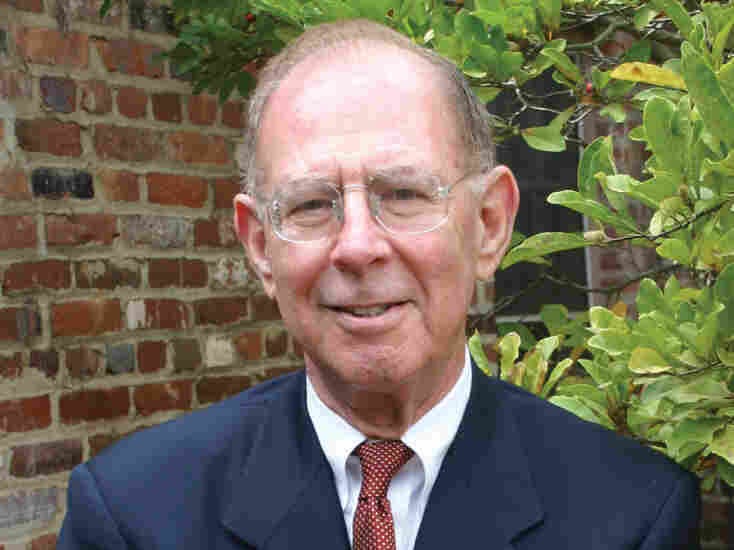 Harlow Giles Unger is a veteran journalist, broadcaster, educator and historian. 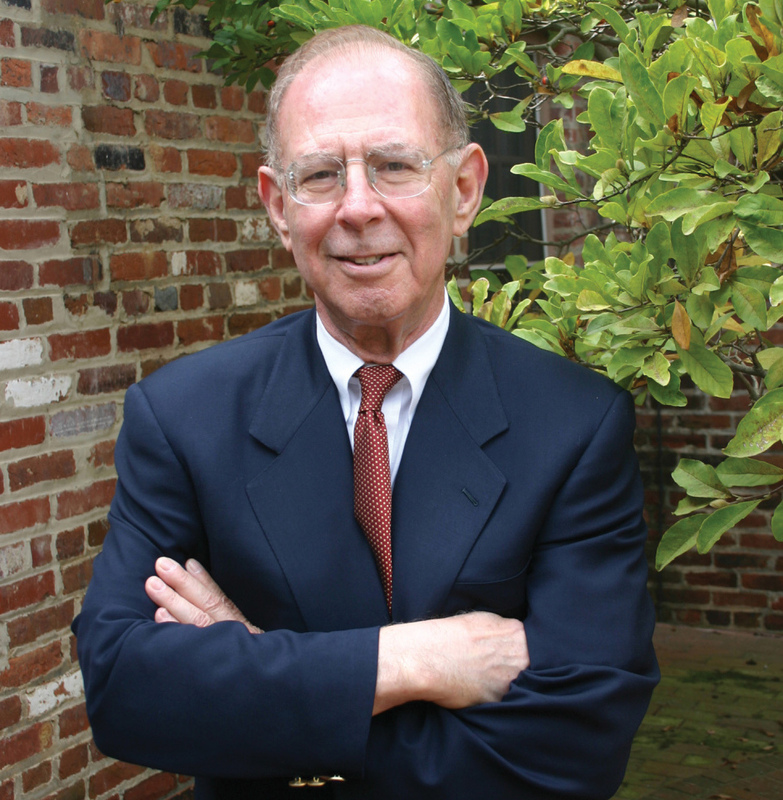 He is author of 16 books, including four biographies of America’s Founding Fathers. Unger doesn't make any attempt to hide his fascination with revolutionary history, and his sometimes breathless excitement about key battles and elections can be fantastically engaging. But Henry was a uniquely interesting person in his own right, and Unger proves to be impressively sensitive and perceptive when chronicling some of the patriot's darker moments, particularly his wife's crippling mental illness and death. Henry was something like a Renaissance man, and he never stayed in one place very long, geographically or otherwise. Unger, though, is able to weave the sometimes disparate, frequently contradictory strands of Henry's life into a coherent, absorbing narrative. He's adept at explaining Henry's proto-libertarianism, which will sound familiar to current American readers, as new political movements suspicious of the federal government have dominated the American conversation in the past several months. Unger's book is the perfect introduction to the founder whose rhetoric started a revolution. Patrick Henry was more than just his words, but his words have never stopped resonating. "As this government stands," Patrick Henry thundered, "I despise and abhor it. . . . I speak as one poor individual -- but when I speak, I speak the language of thousands. If I am asked what is to be done when a people feel themselves intolerably oppressed, my answer is . . . 'overturn the government!'" Henry's roar of exhortation was not aimed at Britain; it was aimed at the United States, as the thirteen former British colonies considered whether to adopt a new constitution. As he had done a decade earlier in his famed cry for "liberty or death," Henry once again roared for the rights of free men to govern themselves with as few restrictions from government as possible. His roar would reverberate through the ages of American history to this very day. Known to generations of Americans for his stirring call to arms, "Give me liberty or give me death," Patrick Henry is all but forgotten as the first of the Founding Fathers to call for independence, for revolution against Britain, for a bill of rights, and for as much freedom as possible from ­government -- American as well as British. If Washington was the "Sword of the Revolution" and Jefferson "the Pen," Patrick Henry more than earned his epithet as "the Trumpet" of the Revolution for rousing Americans to arms in the Revolutionary War. As first governor of Virginia -- then the most important colony in America -- Henry became the most important civilian leader of the Revolutionary War, ensuring troops and supplies for Washington's Continental Army and engineering the American victory over British and Indian forces in the West that brought present-day Illinois, Indiana, Ohio, and Kentucky into the Union. Without Patrick Henry, there might never have been a revolution, independence, or United States of America. A champion of religious freedom, Henry fought to end slave importation and was the true father of the Bill of Rights. Recognized in his day as America's greatest orator and lawyer, Henry bitterly opposed big national governments -- American as well as British. He sought, instead, to unite American states in an "amicable" confederation that left each state free to govern itself as it saw fit, but ready to unite with its neighbors in defense against a common enemy. A bitter foe of the Constitution, he predicted that its failure to limit federal government powers would restore the very tyranny that had provoked the revolution against Britain. He warned that the Constitution as written failed to include a bill of rights to guarantee freedom of speech, freedom of religion, freedom of the press, trial by jury, redress of grievances, and other basic individual rights. Although the First Congress passed some of Henry's amendments to protect individual liberties, it rejected his demands to impose strict limits on federal powers and safeguard state sovereignty. His struggle for the rights of states to govern themselves sowed the seeds of secession in the South and subsequent growth of the large intrusive federal government that Henry so despised. Within months of taking office, Congress enacted a national tax without the consent of state legislatures -- as Parliament had with the Stamp Act in 1765. In 1794, President Washington fulfilled Henry's prophesy of presidential tyranny by sending troops into Pennsylvania to suppress protests against federal taxation -- as Britain's Lord North had done in Boston in 1774. To this day, many Americans misunderstand what Patrick Henry's cry for "liberty or death" meant to him and to his tens of thousands of devoted followers in Virginia's Piedmont hills -- then and now. A prototype of the eighteenth- and nineteenth-century American frontiersman, Henry claimed that free men had a "natural right" to live free of "the tyranny of rulers" -- American, as well as British. A student of the French political philosopher Montesquieu, Henry believed that individual rights were more secure in small republics, where governors live among the governed, than in large republics where "the public good is sacrificed to a thousand views." Rather than the big government created by the Constitution, Henry sought to create an alliance of independent, sovereign states in America -- similar to Switzerland, whose confederation, he said, had "stood upwards of four hundred years . . . braved all the power of . . . ambitious monarchs . . . [and] retained their independence, republican simplicity, and valor." The son of a superbly educated Scotsman from Aberdeen, Henry grew up in Virginia's frontier hill country -- free to hunt, fish, swim, and roam the fields and forests at will. Far from government constraints and urban crowding, everyday life in the Piedmont was an adventure with wild animals, Indian marauders, and fierce frontiersmen. Unable at times -- or unwilling -- to distinguish between license and liberty, they viewed government with suspicion and hostility -- and tax collectors as fit for nothing better than a bath in hot tar and a coat of chicken feathers. The results were often conflict, gunfire, bloodshed, death, and quasi-civil war. For backcountry farmers and frontiersmen, the business end of a musket was the best way to preserve individual liberty from government intrusion. And Patrick Henry was one of them -- their man, their hero. George Washington viewed frontier life as anarchy; Henry called it liberty! Neither saint nor villain, Henry was one of the towering figures of the nation's formative years and perhaps the greatest orator in American history. Lord Byron, who could only read what Henry had said, called him "the forest-born Demosthenes," and John Adams, who did hear him, hailed him as America's "Demosthenes of the age." George Washington "respected and esteemed" him enough to ask him to serve as secretary of state, then Chief Justice of the United States. Virginia Patriot George Mason called Henry "the first man upon this continent in abilities as well as public virtues" and the Founding Father most responsible for "the preservation of our rights and liberties." Unlike Washington and Jefferson, who tied their fortunes to Virginia's landed aristocracy, Henry achieved greatness and wealth on his own, among ordinary, hard-working farmers in Virginia's wild Piedmont hills west of Richmond, where independence, self-reliance, and a quick, sharp tongue were as essential to survival as a musket. A charming storyteller who regaled family and friends with bawdy songs and lively reels on his fiddle, Henry was as quick with a rifle as he was with his tongue -- and he fathered so many children (eighteen) and grandchildren (seventy-seven at last count) that friends insisted he, not Washington, was the real father of his country. His direct descendants may well number more than 100,000 today -- enough to populate the entire city of Gary, Indiana. Remembered only for his cry for "liberty or death," Henry was one of the most important and most colorful of our Founding Fathers -- a driving force behind three of the most important events in American history: the War of Independence, the enactment of the Bill of Rights, and, tragically, the Civil War. Excerpted from Lion of Liberty Patrick Henry and the Call to a New Nation by Harlow Giles Unger. Copyright 2010 by Harlow Giles Unger. Excerpted by permission of Da Capo Press.